In 1999, I fell into the SAP world by way of a job offer from Deloitte Consulting. I always thought working with SAP would be a temporary state of affairs. But almost 20 years later and still going proves that my crystal ball was somewhat faulty. I reached a bit of a turning point a few years ago when my daughter, who was about 3 yrs old at that point, came to me complaining that the TV was broken. At that time I was working on an idea for a startup and had become obsessed by user experience. My daughter and the TV was just another example (albeit louder and more persistent) of how the way younger generations develop expectations about how to interact with technology. I could see a pretty big problem heading towards companies using SAP. I mean, what’s the likely reaction you’re going to get to a SAPGui screen from a Gen Y that arranges something as complex as their love life by swiping left or swiping right on their smartphone? After almost 20 years working with SAP ERP I can assure you the number of times I had heard the terms ‘SAP’ and ‘user experience’ used together were few and far between. And when it did happen it wasn’t complementary! Sure, Fiori was released to much fanfare – the first notable UI update since R/3 was released in 1992, almost 30 years prior – but the problem was that Fiori mobile & desktop apps were being delivered by people very experienced with SAP but with little to no idea about how to design with the user front of mind. By 2016 I started to see Fiori apps being built and rolled out with a very low uptake amongst the user communities. Not a great result for anyone. Around this time I met Cameron Barrie, the founder of a company called Bilue. Turned out Bilue was a user experience design, mobile and emerging technologies company having worked with some of Australia’s largest brands on their consumer facing iOS & Android apps. Companies like Woolworths, NineMSN, Domain and more recently Ticketek, Stan and Cricket Australia. Unfortunately for me, ideas for revolutionary startups don’t necessarily pay the bills so when Cameron called one day on the back of SAP and Apple announcing their new iOS SDK as an output of their Enterprise Partnership we started to talk more seriously. 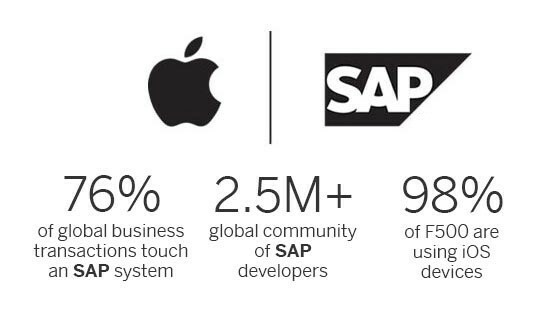 We agreed that given Bilue’s rich heritage in iOS and strong relationship with Apple it would be interesting to look at how to leverage Bilue’s experience in the consumer space in the enterprise world especially given the evolving relationship between SAP and Apple. User centric design is a great example of how to take an approach from the consumer world into the enterprise world – when you roll out a new mobile app for consumers for a well known brand there’s a good chance you’re going to have a few million users on Day 1. And no chance of a Change Management program to support it! The Bilue approach means that every app built is inspiring, intuitive and easy to use from the start otherwise it’s a lost cause. 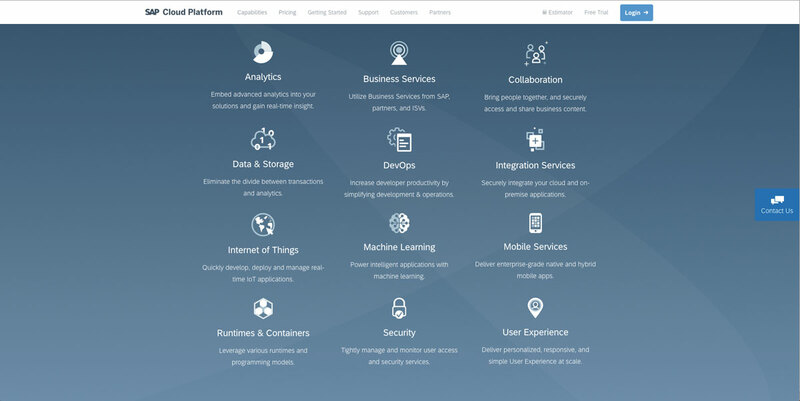 When Cameron and I started taking a closer look at SAP Cloud Platform (SCP) beyond the SDK for iOS we found that the capabilities of SAP Cloud Platform around emerging technologies like Blockchain, Machine Learning and IoT mapped closely to the expertise that Bilue had in-house, in addition to design and mobile. And so in September 2017 I came on board to focus on bringing Bilue’s expertise in user experience design, mobile and emerging technologies to the enterprise market. All underpinned by SAP. We’re now working with several organisations on their digital journey which encompasses not just mobility but the bigger picture from capture of data in the field using IoT sensors and drones, to aggregation of that data and subsequent automation of related business processes by leveraging insights that machine learning models can bring to dissemination of the resulting information to help people make informed decisions in the field and on the go. And though it’s taken a while, this week we’re finally able to announce that we are now officially an SAP Partner as well with our complete focus being on the capabilities that SAP Cloud Platform provides. All in all, it’s been a full-on 8 months! But as I said to someone the other day – I’m pretty lucky that I get to turn up to work with a group of clever guys and girls who think about things a bit differently. And together we get to work out how we apply the latest technology to help solve the problems of our customers. So yes, I’m still working with SAP and probably will be for a little longer yet!